Sean Lusk, director of commercial hedging at Walsh Trading, finds it noteworthy that China released official-sector gold holdings – which disappointed the market – when gold was already in a downtrend. On Friday, the country announced that its gold reserves rose 57% to 1,658 metric tons, the first update in six years. There had been much conjecture that the holdings would have risen by substantially more than this, and the smaller-than-expected total may have contributed to gold’s recent weakness, analysts say. 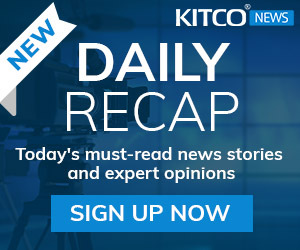 “The timing of this release of gold holdings by the Chinese is most curious to me as gold had posted new lows last Thursday that had not been seen in five years,” Lusk says. 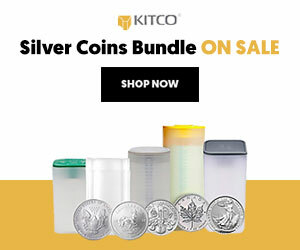 “If the Chinese would like to increase their gold holdings in the coming months and years, it would only make sense for them to instigate more pressure on physical prices by finally releasing their meager holdings.” Large sell orders were triggered at the start of the week, pushing gold sharply lower. “Technical damage continues on the charts, with any rallies looking like selling opportunities,” Lusk says. He points out that many TV pundits are calling for a return to $1,000 gold. “They may be eventually correct but when market sentiment is heavily skewed to one side for prices, a move in the opposite direction could be around the corner,” Lusk cautions. ABN Amro is one of the latest banks to downgrade its outlook on gold after prices hit a five-year low; the Dutch bank now expects the yellow metal to be the worst performing precious metal this year. In a report released Wednesday, the bank says that they now expect gold prices to end the year at $1,000 an ounce, and eventually fall to $800 an ounce by the end of 2016. In the short-term, they expect gold to fall to $1,050 an ounce by September, down from their previous forecast of $1,100. 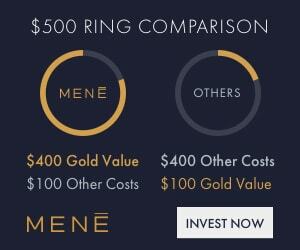 The analysts add that they see four factors that are dragging down gold prices: reduced jewelry demand due to weaker Chinese equity markets, improved investor sentiment following a funding agreement made between Greece and its creditors, a stronger U.S. dollar and an eventual rate hike from the Federal Reserve. “Investors will likely liquidate gold positions when US dollar and U.S. rates go up in an environment where inflation expectations remain muted and investor sentiment is constructive,” they say. “[T]he adjustment in expectations that the Fed will start hiking this year have made precious metals that yield zero to almost nothing very unattractive. Next week’s Federal Open Market Committee meeting (FOMC) could set the stage for a rate hike at some point this year, says Eric Green, head of U.S. rates and economic research at TD Securities. In a research note, Green says there is growing uncertainty that the central bank will pull the trigger on a rate hike in September but adds “that the appetite is there to begin raising rates this year.” He said the monetary policy statement released July 29 should “nudge the market further in that direction.” TDS still sees September as the most likely time the Fed will raise rates. “December is not impossible, just improbable as a starting point owing to low liquidity at a time when Yellen must raise rates using tools never before used,” he says. Gold continues to suffer from a stronger U.S. dollar but the yellow metal’s drop is overdone, say analysts from Capital Economics. They explain that the U.S. dollar is benefiting from expectations that the Federal Reserve will raise rates some time in 2015. “However, U.S. monetary policy is likely to remain relatively loose by past standards and any tightening is only likely to take place in the context of rising inflation risks, limiting the downside for gold,” they say. At the same time, the UK-based firm couldn’t rule out a further drop in prices. “Given the difficulty in valuing an asset that pays no income and the importance of safe-haven demand, which is also largely subjective, the current mood cannot be ignored,” they say. Despite gold’s ‘suspicious’ selloff earlier in the week, one trend forecaster says he sees positive signs for the metal ahead. Gold prices have been declining since peaking in 2011, “but this past Monday’s price plunge was different,” says Gerald Celente, publisher of Trends Journal, in a note Wednesday. He explains that within minutes 33 tons of gold were sold on the Shanghai Gold Exchange before even European and U.S. markets opened on Monday. With a seller “suddenly dumping double the amount of gold than the Exchange handles on an average day and in a thinly-traded market,” Celente says this leaves room for suspicion. 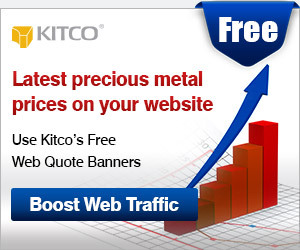 However, he adds markets ignored the unusual activity and instead sentiment towards the metal continues to deteriorate. “[W]ith America’s economy rebounding, the dollar strengthening, and the prospects for U.S. interest rates to rise, gold has lost its glitter,” he says. “Not according to our forecast. 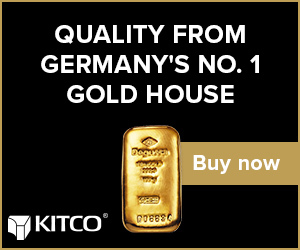 In fact, some of the very reasons given for gold’s decline – such as commodity prices from metals, energy and agriculture falling sharply – we see as warning signs that signal a positive trend line for gold.” Celente argues that gold continues to be a safe-haven asset in time of economic failure as well as currency, geopolitical and equity market uncertainty.